Jailbreaking iOS devices is a complicated thing. with each new release of Apple’s mobile operating system closing doors that previously allowed hackers to create the jailbreaks that us mere mortals use. When Apple released iOS 9.3.4 yesterday, it was to plug at least one security hole which was used to enable jailbreaking on iOS 9.2-9.3.3 by Pangu Team, but today it looks like iOS 9.3.4 is already jailbroken as shown by one photo on Twitter. Shared by Italian developer Luca Tedesco who has form for being the first out to the blocks with new jailbreaks teases – he earlier jailbroke previous versions of iOS as well – the image shows Cydia on an iPhone 6s running iOS 9.3.4. 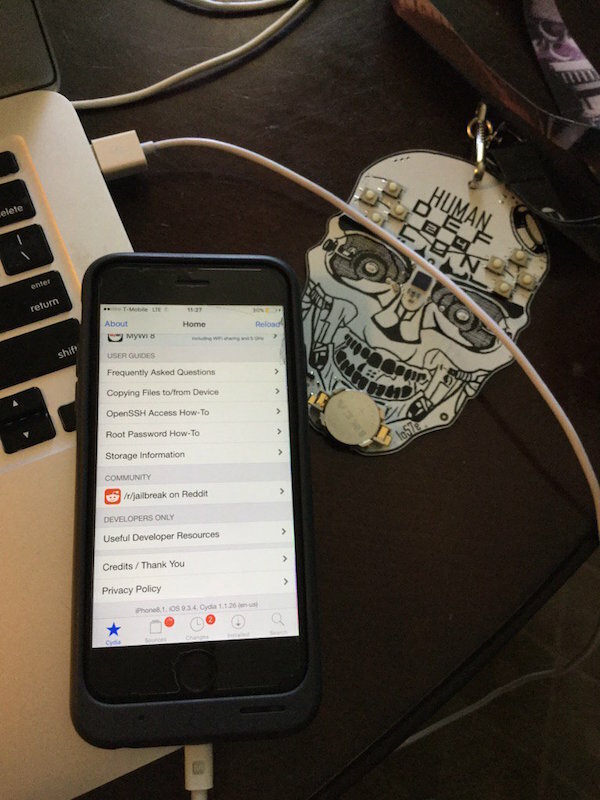 We have little reason to doubt the photo’s authenticity, meaning Tedesco is the first to share proof of a working iOS 9.3.4 jailbreak just a day after its release. While this should generally be good news, unfortunately though, Luca himself has said this a number of times in the past that he won’t be sharing his exploits for public jailbreaks. This isn’t the first time a jailbreak has been held back for all kinds of reasons, with hackers often wanting to keep their exploits private, either for research purposes, or other reasons, in order to prevent Apple from patching them before a big release such as iOS 10 is officially released. As for Apple, it announced yesterday that it was starting a new bug bounty program which could net hackers up to $200,000. The idea for the program, similar to those run by Google, is that hackers will find new security holes in Apple’s platforms and then share them with Apple in return for a finder’s fee, making iOS, OS X/macOS and other Apple softwares more secure in the long run. With that in mind it’s possible Apple may be able to fill security holes more quickly in iOS, reducing the number of jailbreaks made available to those who like to use them. Time will tell if the bug bounty program will affect iOS jailbreakers in the long run. 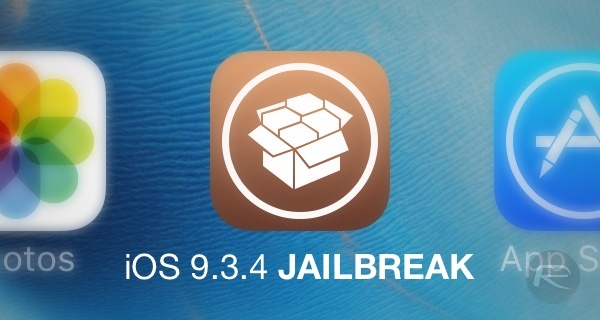 In the mean time, anyone wanting to jailbreak should stay clear of iOS 9.3.4 as currently there’s no public jailbreak solution available for iOS 9.3.4 firmware. If this is real, what Apple can do is just ignore patching up for now and patching on iOS10 instead. Else we might see 9.3.5 soon. Pleased to learn GasGauge hasn’t been patched, not that we’re likely to receive it. Cool of Luca to resist the $200k, which is after all severely low balling given a previous userland jb sold for $1mil. I’ve said this before, and I’ll say it again. Apple has given it’s users and followers a VERY secure operating system, and so has repeatedly fulfilled it’s promise and obligation to them. I understand this.Thanks Apple. Now, having appreciated all of the above, We have bought their devices, they now belong to us, TO DO WITH WHATEVER WE WISH.!! So Apple, stop trying to thwart our efforts to configure OUR devices in any way we please. We know the risks and we don’t need you to keep telling us that playing with fire can be dangerous. Those that don’t jailbreak, are well protected. Those that do should be ready to take the consequences. Let us keep the IOS version we crack, instead of nagging us to update or restore to your latest and (greatest ??). Or at least let us go back to a version we’re happy with, jailbroken or not. Thy just should give us the option so that anyone can choose. That’s all. The real question is why lucas feels the need to tease everyone looking for a jailbreak and then.months later release some back end code that might help pangu or.whoever….and why tipnoff apple.that the software can be jailbroken…i question his real motives. for money, just teasing us and gives the info to apple and gets 200k..